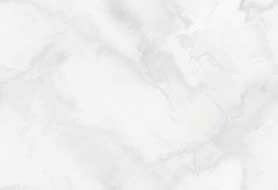 Lady Edward Fitzgerald - ? Born Stephanie Caroline Anne Syms but known as Pamela (1773-1831). 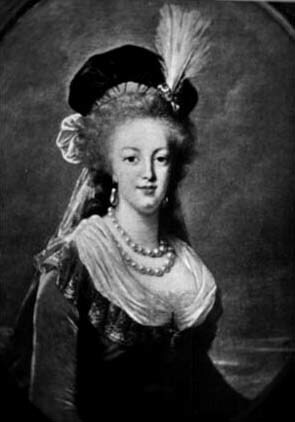 Adopted daughter of Stephanie Felicite Ducrest, comtesse de Genlis. She married in 1792 to the Irish revolutionary Lord Edward Fitzgerald (1763-1798).They had four children and lived in Kildare. Edward Fitzgerald died in 1798 from an untreated minor wound while hiding from the British after a rebellion plot he was to lead was exposed. Lady Fitzgerald remarried in 1800 and moved to Hamburg. She eventually returned to Paris where she died in 1831. 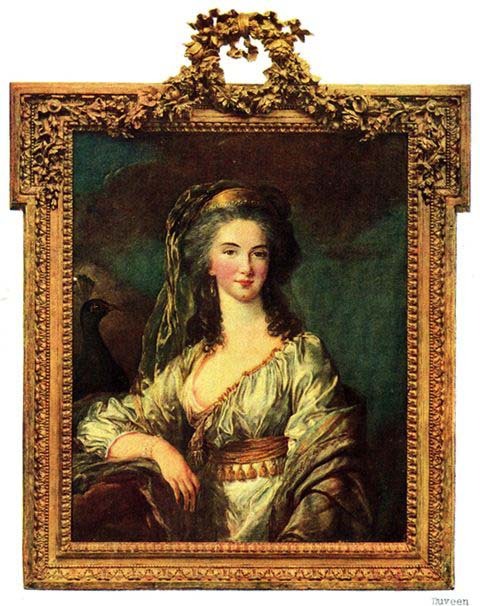 This picture always hung in the room of Marie Antoinette's daughter, the Duchesse d'Angouleme, who said that it was a "speaking likeness" of her mother. Maria Vasilyevna Kochubei (1799-1844), born Vasilchikova, was the wife of Victor Pavlovich Kochubei, a diplomat and statesman. In the reign of Alexander I, minister of the interior and chancellor; after 1827, head of the Council of State and the cabinet. 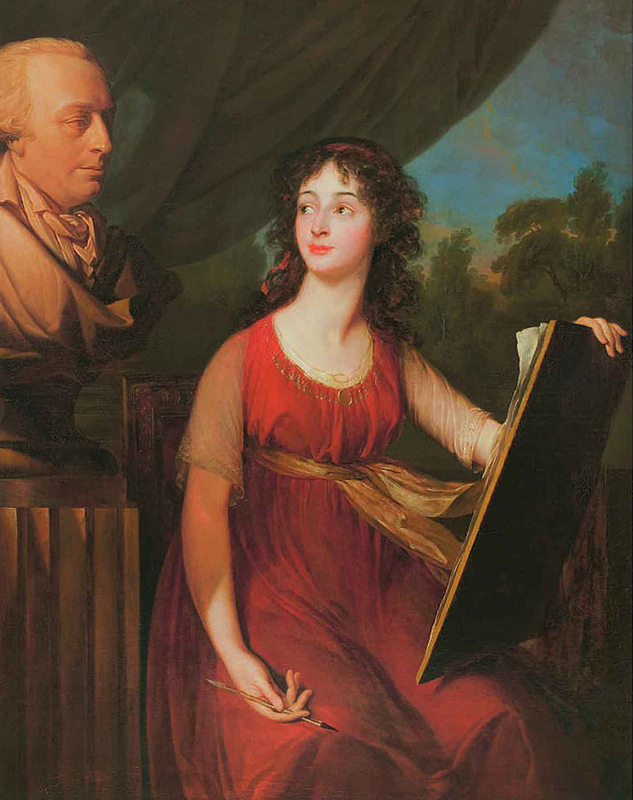 She is shown drawing a bust portrait of her uncle, Prince Vasilchikov. A replica of the present portrait is in the Arkhangelskoye Estate Museum near Moscow. The painting was received in 1933 through the State Museum Reserve from the L. M. Kochubei collection in Leningrad.